BerryCo NZ has secured the New Zealand rights to the genetics from Mountain Blue Orchards (MBO) in Australia, which General Manager Vaughan Judkins says is a world leading Southern Highbush breeding programme, and several new developments are on the horizon for the industry. The MBO supplied Eureka brand, with its jumbo size, which is currently a big a hit with both the health conscious across Australia and the international markets in Asia. "We currently have varieties led by the flagship “Eureka” that are being released to growers that cater for the early, mid and late growing windows and have great flavour and eating characteristics," Mr Judkins said. "What is exciting is visiting the breeding programme and seeing the new varieties that are coming through the pipeline and which we will be bringing into New Zealand. Also, for the second year, BerryCo had a dedicated stand at Asia Fruit Logistica. We received consistent feedback from buyers telling us they were amazed at the size, crunch and flavour of the Eureka berries, traits that set this MBO variety apart from other products in the grocery aisle." BerryCo has also recently acquired the rights to a Northern Highbush programme. 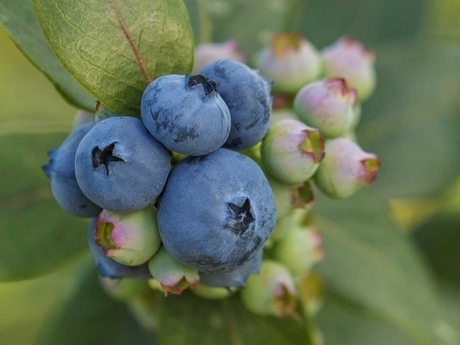 Moondarra Genetics is a Research and Development company focused on developing and commercialising high performing Northern Highbush blueberry varieties which has had MBO germplasm introduced into the programme. "These will enable us to extend the growing season in New Zealand and offer our domestic and export retail partners’ continuous dedicated supply for a prolonged period of time," Mr Judkins said. 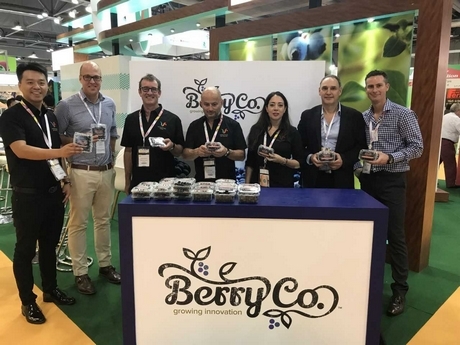 BerryCo is a joint venture between two leading fresh produce companies across Australasia; Valley Fresh and Southern Produce who brought their separate blueberry growers under the BerryCo umbrella. Growers are located from the top of the North Island through to the top of the South Island and with the new MBO varieties now available, plantings have increased over the last few years. The company agrees with leading industry body HortNZ's comments that the berry industry has the potential to expand over the medium to long term, and Mr Judkins says that is not only in terms of growth of production areas, but in terms of varietal development. "Consumers’ expectations around their eating experiences are changing as proprietary varieties which have gone through strict breeding programme regimes deliver a better result to the consumer," he said. "We know that retailers globally are now starting to de-list varieties as they become superseded by better performing varieties and this is the area where the potential to expand is. BerryCo has not only secured one of the best Southern Highbush varieties in the world but is also leading the way in growing management/techniques to maximise the potential of these varieties and ensure the consumer has the best eating experience possible." Blueberry production in New Zealand is well up on last year, which was a poor season for the industry, which weather permitting, should mean there is still a lot of good quality volume to harvest. "This year, fruit was harvested earlier due to unseasonable hot weather," Mr Judkins said. "The majority of fruit (rabbit eye varieties) will be harvested from now until end of March. The hot weather meant fruit was available earlier than normal for the domestic and export market, recent storms have slowed down this month’s production but luckily we were in between varieties so impact was minimal." He adds that supply is increasing as is demand, and the better eating quality of varieties will mean an increase in demand. "As the industry continues to evolve, so will demand," he said. "We have fantastic, innovative, loyal growers in New Zealand who are prepared to re-plant with new varieties to ensure they are at the forefront of the industry. We also have new growers who are proven in other horticultural areas. Without them, having great genetics is meaningless as the knowledge of these growers is paramount to producing the best berries. We have a fabulous mix of a steady loyal supply base complemented by some of the world’s best breeding programmes. The future looks extremely bright."